Cetara is a small town on the Amalfi coast. 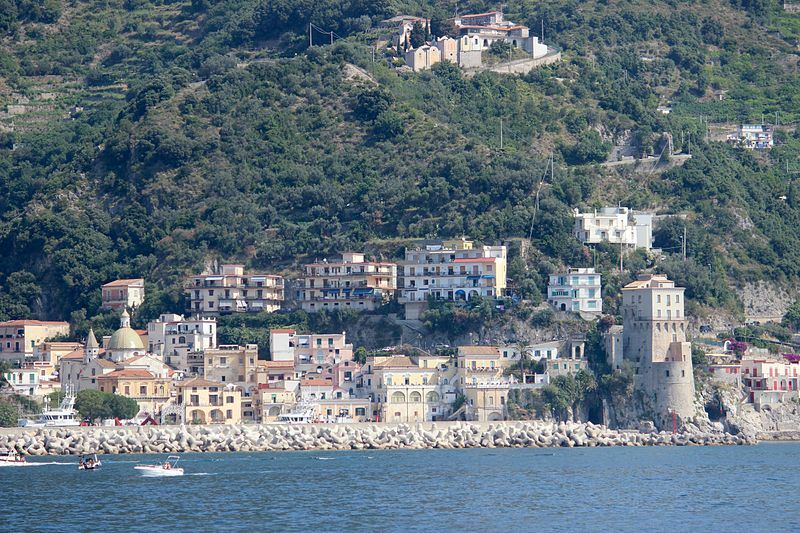 It is very near to Salerno and Amalfi and you can easily go there from Naples too. You can go to Cetara by bus, renting a car or via BookingNaples, hiring one of our professional drivers that can take you there in a comfortable vehicle. Cetara is famous for its beaches and for the intense activity of the fishermen who have always lived there. Even its name derives from this kind of work! Cetaria and cetari, in Latin, designate tuna and sellers of big fishes. Plus, these words derive from the Greek word Ketèia, another evidence of the antiquity of this village and of this kind of activities evidently favoured by its geography. In the root of the name of the village you can also find the echo of the word citrus, lemon, another of the best and most typical products of the Amalfi coast. Today among the most famous products of this village there are tuna and anchovies. Actually, the most typical product is the anchovy sauce, normally served on spaghetti. It is a sauce obtained from the fermentation of anchovies. Here you can also taste one of the most genuine “cuoppo” of Campania region, a cone made of paper that contains fried fish. You must go in Cetara if all that you want is enjoy one or more days of relax in a village located in the immediately proximity of the Mediterranean Sea. In the historic centre you can choose between different beaches characterized by crystal clear water and rocky coasts. Moving away from the centre you can reach the tower of Cetara, go down on few steps and take advantage of other equally clean and quiet beaches frequented by younger people. The landscape of the village is so fascinating that it was also the set of some films like The Man, the Beast and Virtue (Steno) and A Pocketful of Chestnuts (Pietro Germi). The most famous monuments of this small town are the Cetara Tower, the church of San Francesco, date back to the 17th century, the church of San Pietro Apostolo and the Church of Santa Maria di Costantinopoli.